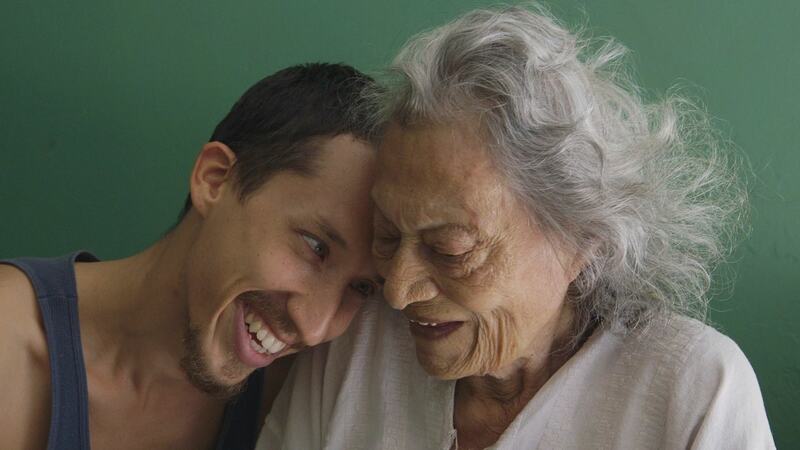 Erick Stoll and Chase Whiteside’s latest collaboration, América, explores the tumultuous journey of protection of the elder in age. It features three brothers: Diego, Bruno and Rodrigo, and of course, their grandmother América. The journey for the four unfolds after their father is unfairly imprisoned and the young men are left to lead lives in a busy world while caring for their 93-year-old grandmother, who requires extensive attention. It could be suggested that aged care facilities have become a part of the natural aging process. When we are infants we are taken care of by family and when we become old, we again need to be taken care of. However, in that last cycle it is not always family that takes care of us. As of June 2017 in Australia, 148,000 Australians were admitted into both respite care and permanent residential aged care facilities. Permanent aged care facilities are common in today’s society, however, in none of the scenes do Stoll or Whiteside imply a hint of inclination to place América into a permanent aged care facility. The struggle faced by her family has strong visceral impact: our hearts break with every downturn América makes, every cry she has and the intense resistance she sometimes has to their care. There are deafening silences in the film that make you wonder why they are doing it all. Then, when you see one of the brothers laugh or smile at her, you remember: it is all for love. Stoll and Whiteside depict the story in a raw, no holds barred manner. We watch the brothers fight; we watch América cry, laugh and experience fear. But, despite all of the turmoil we see on screen, it is undeniable that the strongest feeling communicated in the film is love. The brothers are fighting for each other – and for their grandmother. América is a welcome encouragement to all facing the prospect of looking after an ageing family member. It demonstrates that, in some cases, aged care facilities do not have to be the answer; sometimes, you just have to band together and make it work.